The Rhythm Of Fighters is a quirky take on SNK's storied history of 2D brawlers... that plays like a swiping, tapping musical game. This unique title has met the same fate of other games by big publishers who apparently wanted more bang for their buck, and shifted from a paid game to free-to-play. (See Assassin's Creed Pirates and Asphalt 8 for other examples.) But if you spent the measly dollar that the game cost when it launched, don't fret: SNK is here to placate you with free stuff. 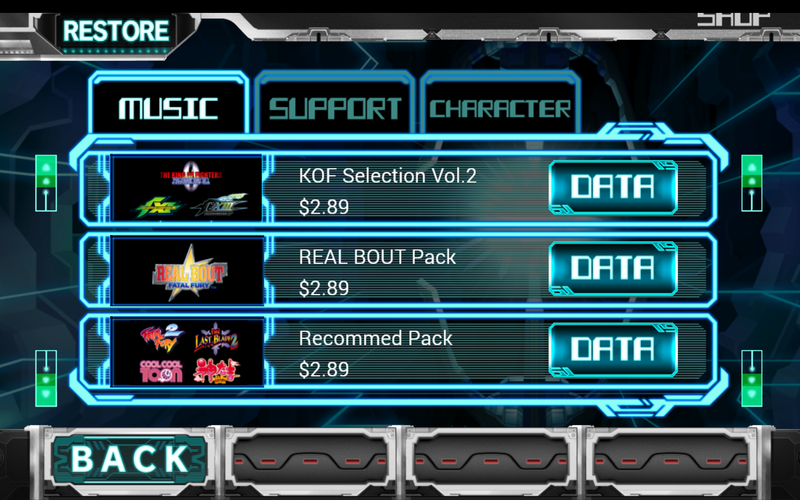 Specifically, you'll get five free track packs to play whack-a-mole to: King of Fighters Selection Volume 2, the Real Bout pack, the Recommend pack, and the custom mix Rhythm of Fighters pack. Considering that those add-ons would cost about $12 in total, it's not a bad deal. But there is something of a catch: in order for the game to recognize that you've already paid for it, you need to have save data on your device, which probably means you need to have not only purchased it but have it installed before the update. So if you've uninstalled it since June, or you want to play it on a different device, you're out of luck. You might be able to retrieve your data from Google Play Games if you logged in before the change. Add in the fact that those in-app purchases weren't cheap in the first place, and that SNK seems to have added some big honking advertisements, and you might get a little frustrated trying to level up your pixelated dancing fighter. Hey, at least more people will get to try it out now, right?